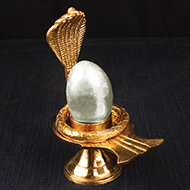 Parad Shivaling is the most unique and wonderful boon gifted to the humans by the gods. Everything can be had through one's efforts but a Mantra energized, consecrated Parad Shivaling can be obtained only when one's fortune smiles on the person. 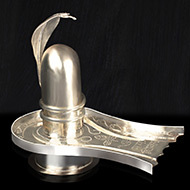 It is a symbol of good luck and just looking at it destroys all the sins of past lives and makes the person fortunate. The foremost and most revered of all Yogis, Poojya Gurudev Swami Sachidanand said that a Sadhak who places a Parad Shivaling in his home and worships it or just has its glimpse daily becomes free of all sins and gains divine powers along with wealth, prosperity and all comforts. Ling Koti Sahastrasya Yatfalam Samyagarchanaat, Tatfal Kotigunnit Raslingaarchanaad Bhavet, Brahma-hatyaa Sahastraanni Gohatyaa Shataani Cha ! Tatshannaadwilayam Yaanti Raslingasya Darshanaat, Sparshnaapraapyate Muktiriti Satyam Shivoditam !! Translation: A million times more fruitful is worshipping a Parad Shivaling than worshipping a thousand Shivalings. Just looking at a Parad Shivaling neutralises the effect of sin of killing a thousand Brahmins and cows. Touching a Parad Shivaling without doubt makes one free of all problems and quickens one's spiritual progress. These are the words of none other than Lord Shiva. Sidhyanti Naatra Sandeh Rasraaj Prasaadatah !! Translation:A person who worships a Parad Shivaling just once in his life surely gains Dharma (righteousness), Arth (wealth), Kaam (pleasures) and Moksh (spiritual progress). Pachyate Kaalsootrann Yaavachandradivaakari. Kritvaaling Sakrit Poojya Vasetkalpashatam Divi ! Prajaavaan Bhoomivaan Vidwaan Putra-baandhavvaanastathaa. Gyaanvaan Muktivaan Saadhuras Lingaarchanaad Bhavet !! Translation: One enjoys all comforts in life and attains wealth, fame, position, respect, sons, grandsons, high education and prosperity if one worships a Parad Shivaling just once in one's life time. And such a person surely reaches a high position in life. Raslingaarchanaadishtam Sarvatam Labhate Narah !! Translation: Longevity, good health, prosperity and all desired achievements can be had through the worship of Parad Shivaling. 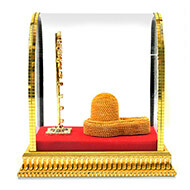 Parad shivaling is an icon of Lord Shiva but texts like Lakshmi Upanishad and others have accepted Parad Shivaling as a symbol of Lakshmi as well. Lord Vishnu has himself said that the house in which a Parad Shivaling is placed is surely graced by Lakshmi the Goddess of wealth and prosperity. There can never by any paucity in that house. 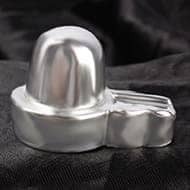 To worship Parad lingam, while chanting "Om Namah Shivaye" or singing the "Maha Mrityunjaye mantra", do Abhishek of the linga with water mixed with Ganga Jal and other aromatic waters like Rose and Kewda. After this wipe dry and apply "Vibuthi", sandal paste and then "saffron". 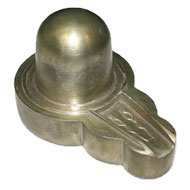 Then offer Belpatra and flowers and prostrate before the God in complete surrender. Hello, Some of the changes I've noticed: a sense of 'guidance' with the Indra mala; little or no resistance to goals (Ganesha must be at work here! ); greater prosperity in all areas; enhanced awareness. There are so many changes but I have come to accept them now and so it is hard to recall them. Perhaps the one I am most impressed with -- and surprised at--is the complete lack of obstacles. Maybe some will show up at a later time, but for now they are startlingly absent. Blessings... C. Y.